Tungsten alloy, also named tungsten heavy alloy, generally is refractory metal, which has two-phase composites consisting of W-Ni- Fe or W-Ni- Cu or even W-Ni-Cu-Fe, some tungsten alloys are added Co、Mo、Cr, etc. They have very high melting point and have a density twice that of steel and are more than 50% heavier than lead. Tungsten content in conventional heavy alloys varies from 90% to 97% and is the reason for their high density (between 16.5g/cc and 18.75 g/cc). Nickel, iron and copper serve as a binder matrix, which holds the brittle tungsten grains together and which makes tungsten alloys ductile and easy to machine. Nickel-iron is the most popular additive, in a ratio of 7Ni:3Fe or 8Ni:2Fe (weight ratio). The conventional processing route for tungsten heavy alloy includes mixing the desired amount of elemental powders, followed by cold pressing and liquid phase sintering to almost full density. The matrix alloy melts and take tungsten into solution during liquid phase processing, resulting in a microstructure through large tungsten grains (20-60µm) which are dispersed in the matrix alloy. The as-sintered material is often subjected to thermo mechanical processing by swaging and swaging, which results in increased strength and high hardness. The majority of current usages for WHAs (tungsten heavy alloy) are best satisfied with the W-Ni-Fe system. As its high density, it is mostly used as tungsten alloy crankshaft for racing car weight. Tungsten heavy alloy such as 93W-4.9Ni-2.1Fe and 95W-4Ni-1Fe represent common compositions, and the addition of cobalt to a W-Ni-Fe alloy is a common approach for slight enhancement of both strength and ductility. The presence of cobalt within the alloy provides solid-solution strengthening of the binder and slightly enhanced tungsten-matrix interfacial strength. Cobalt additions of 5% to 15% of the nominal binder weight fraction are the most common. For its heavy density raging from 17.0 g/cm3 to 18.5 g/cm3, which is much denser than normal materials, it is widely used as tungsten heavy alloy radiation shielding sets in many fields, such as medicine industry, aerospace research or even our daily life for mobile radiation protection. Especially, tungsten protection acted as collimator, syringe shielding and other shield, such as X-ray protection apron, are very important for eradiation treatment concerning X-rays, gamma radiation, CT examination, etc. Besides, tungsten heavy alloy material work as substitution to depleted uranium for nuclear radiation protection is essential to military field and aviation. If there is need, Chinatungsten can also offer engraving or coating technique as required. Tungsten heavy alloy, with high density of 17.0~18.5g/cm3, could also be made as tungsten alloy sphere for radioactive waste management. It could helpful for the temporary waste storage facilities, such as stainless steel drum as container, tungsten alloy sphere would be used as the radiation shielding by filling into the interlayer of the double wall of the stainless steel container, then the source of radiation from the radioactive waster would be shielded well inside the container. The diameter could be available as per clients’ requirement, even with the small diameter as 1mm. 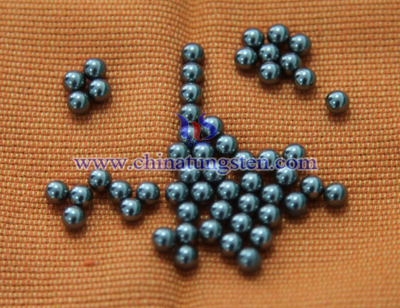 Different process methods could offer different properties, if you need high ultimate tensile strength and high hardness, tungsten alloy material usually need to be swaged, which are usually used in military field, such as tungsten alloy military swaging rod for armor piercing, bullet and hunting shot, tungsten alloy fragments; if they need just sintering, they could be offered as tungsten alloy cube, sphere, ball, etc. for military defense. Sometimes, in order to get a higher property, we usually add some other materials to mix the powder, such as Co, Mo, etc. If it comes to some parts used for navy, coated or electrodeposited chromium could be offered according to protect from saltness corrosion. 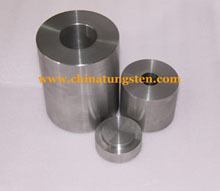 Chinatungsten Online offers tungsten heavy alloy high-properties defense products as per military standard Mil-T-21014, or even could adjust some manufacture processes to meet a higher requirement for physical properties of hardness (42HRC min. ), ultimate tensile strength (1400 MPa min. ), yield strength(1300 MPa min. ), elongation (8% min. ), etc. Of course, if there is a need, Chinatungsten is willing to offer free standard testing rod for client evaluation before batch order. Tungsten alloy product, which is a chemical compound that contains carbon and tungsten and is similar to titanium carbide. It was originally developed for use as a cutting tool, in machine tools applications, where it still finds widely use today. Cemented tungsten carbide is neither a metal nor a ceramic, which is prepared by reacting carbon and tungsten at a temperature of between 1400-2000ºC. With its highest hardness as 86~93 HRA (68~81HRC), however, it is not called tungsten alloy, but tungsten carbide, because its superior wear resistance and high cutting speed. 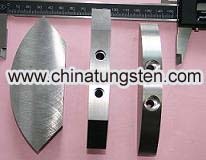 Besides, as it is easy brickle, tungsten carbide is widely used as cutting blade, drill, bits, nozzles, etc. but for crack resistance, tungsten alloys are usually widely used as tungsten alloy medical radiation shielding, crankshaft, counterweight, which are usually made of tungsten heavy alloy materil with its special properties as good elongation, small capacity with high density, good corrosion resistance, wonderful shock resistance, high radiation adsorption capability, etc. Why you should choose Chinatungsten Online? With 20 years experiences, Chinatungsten Online has being the leading tungsten heavy alloy manufacturer and the top tungsten heavy alloy suppliers in China. 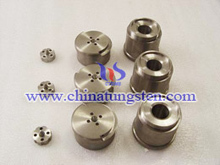 Now Chinatungsten is very pleased, as the professional tungsten alloy manufacturer and suppliers, it has offered hundreds of tungsten alloy to more than 5000 clients worldwide in the past 2 decades. Also, we are very honored that we have offered our best service, design, drawing, repairing together with products. 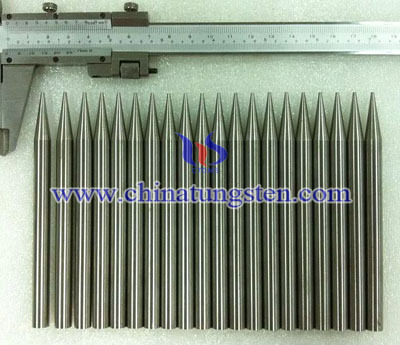 If you have any interest in tungsten alloy radiation shielding or any other tungsten heavy alloy products, please feel free to contact sales@chinatungsten.com sales@xiamentungsten.comor telephon at :86 592 5129696.